Fr. Jim is pastor at St. Leo the Great, an inner city parish in Cincinnati where the Catholic call to welcome the outsider is lived out every day. 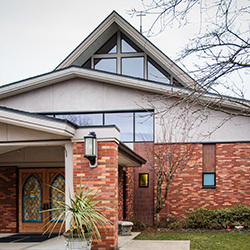 Known as a “beacon of light” in their low-income, urban neighborhood, the parish is home to a Burundi Refugee Ministry and Guatemalan Immigrant Ministry. 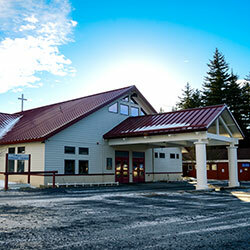 Weekend Masses here are a vibrant, energetic blend of Anglo, Guatemalan and African culture, readings and music. Last year, the parish purchased Flor y Canto hymnals for the growing assembly. Since the music in Flor y Canto, Tercera Edición is easy for everyone to sing and read, this multicultural congregation can now worship together in a new and inspiring way. 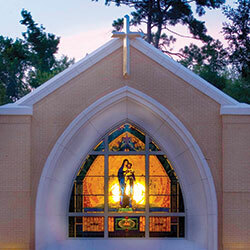 Learn how St. Leo united their multicultural parish with Flor y Canto.